Visit us and watch the magic unfold in front of you. 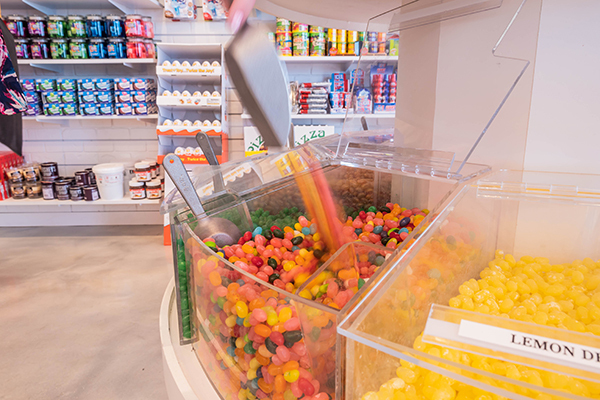 The newest addition to JiLLy’s Stores on the OCNJ Boardwalk is our Candy Factory! Serving up the most unique sweets on the boardwalk! 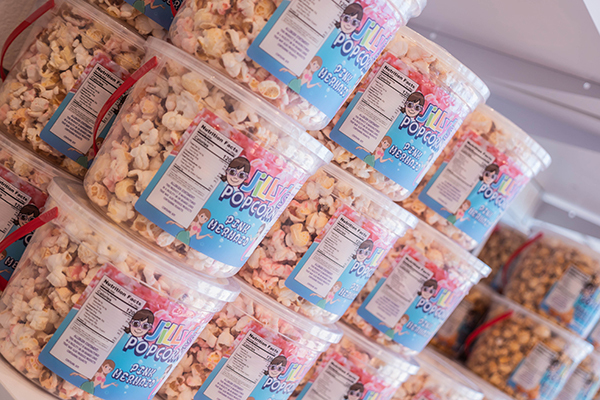 Ranging from candy apples, taffy, chocolate bars, popcorn, fudge and candy of all kinds. 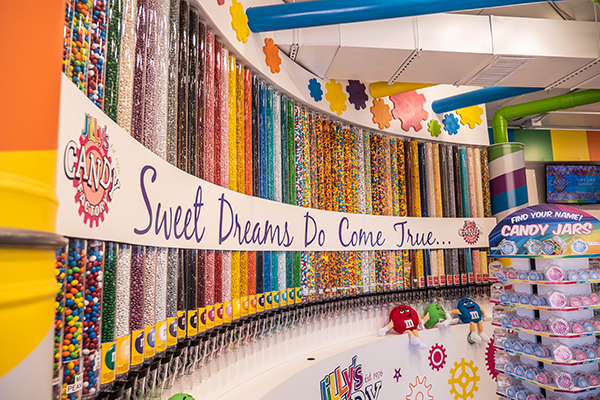 Stop in for a sweet treat and to take a picture in front of “The Sweet Spot”, aka – the colorful candy-filled wall! We have something for everyone! All our fudge is homemade right at JiLLy’s! We are always testing out new flavors and are constantly creating new permanent and seasonal flavors to suit everyone’s tastebuds! Also, our plethora of candy is always changing. Love JiLLy’s candy, but won’t be visiting the shore to until the summer? Problem solved! You can now purchase select JiLLy’s candy online. Click the link below to shop our online store.